Jullie Jay-Kanz, publicist for gospel musician Joyce Blessing has come out to debunk news that her artiste has been involved in a baby theft case. According to a Facebook post made by the artiste's publicist, she elucidated that the news was a misinformation by multimedia journalist Kofi Adoma Nwanwani and has nothing to do with the Zylofon Music gospel singer. She posted" We Have not Stolen any baby. Seen Some Stories Online That One Joyce Blessing Has Stolen A Baby From a Hospital. The News Has Nothing To Do With Gospel Musician Joyce Blessing .. ....... The Victim is actually a Nigerian Who is also Called Joyce Blessing." The said victim who was involved in the baby theft case is one Nigerian house wife called Joyce Johnson who connived with a hospital cleaner to steal a baby and not Joyce Blessing. 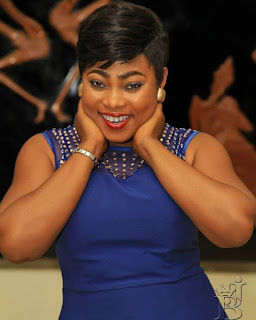 In an interview with Joyce Blessing on Oman FM yesterday, the I Swerve You hitmaker expressed disappointment in multimedia journalist Kofi Adoma Nwanwani for involving her name in such a news when he knows it has nothing to do with her and added that her management will release an official press statement to debunk the news. Video Below explains who the victim is.